A deadly mass shooting at Sandy Hook Elementary School in Newtown, Conn., has parents asking how they should discuss the violent tragedy with their own children. 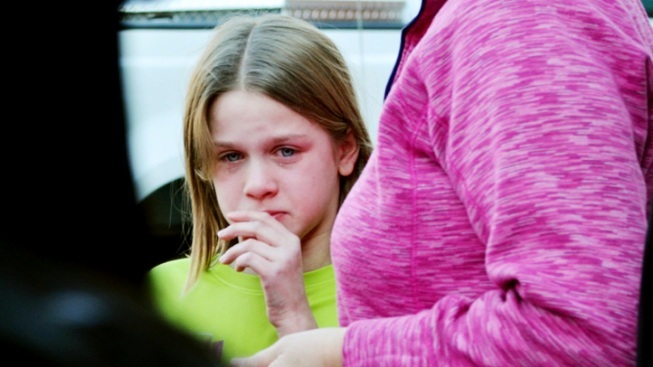 A horrific mass shooting at a Newtown, Conn., elementary school on Friday pushed parents into a position to discuss the tragedy that left 26 people dead, 20 of them between the ages of 6 and 7, with their own children. Experts warned parents not to underestimate the impact a mass shooting, particularly one at a school, can have on a young child. And the younger they are, the more delicate the conversation must be. "As adults, it is difficult, if not impossible for us to make sense of this senseless act," John Gaspari, with USC Center for Work and Family Life. "But just as hard as it is for us, it is even harder for young people, who do not have the benefit of age and experience to help them cope with and understand such a tragedy." 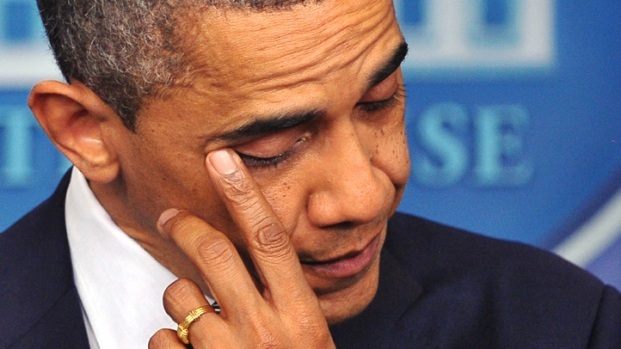 From disbelief to dismay, Friday's mass shooting at Sandy Hook Elementary School evoked a powerful range of emotions. Experts said children will need extra care in processing their reactions. "You only approach it if the child approaches you first," said Dr. Veronica Chavez, clinical psychologist at Children’s Hospital Los Angeles. Don't feel like you have to talk about it if the child is doing fine. Turn off the television and other media around children. Keep the conversation age appropriate and simple. NBC News' Dr. Nancy Snyderman advised parents to answer the questions their child brings up, and encourage kids to express their emotions through a creative outlet. "It's the best way for kids to get rid of their demons," she told NBC News' Brian Williams. "Art is a great way for kids to cope." That artwork should be tucked away for future reference and can be used later on if the child continues to have trouble dealing with the situation, Snyderman added. Children may subtly express that they want to talk, such as hovering around their parents while they do the dishes, according to the National Association of School Psychologists, which published a tip sheet on how to talk to kids about violence (PDF). Experts urge parents to stick to their usual routine as best they can. "When the kids know that everything has changed, they know that something is wrong," Chavez said. "After school, there's homework, there’s homework clubs, there's soccer practice. So you want to continue to keep that as much as you can." When he was 6 years old, Joshua Stepakoff was shot by a gunman who opened fire at North Valley Jewish Community Center in Granada Hills. "You can’t really explain it," Stepakoff said on Friday. "It’s just a, a heartbreaking feeling." Now a psychology student at Cal State Northridge and a vocal advocate for gun control, Stepakoff said he can barely remember the violent 1999 shooting that injured a receptionist, teen counselor and two other young boys attending a day camp. "From what I’ve been told, I knew all about it," he said. "But personally, I’ve kind of blocked all that out." Gay Ribisi said she didn’t know how she’d talk to her grandchildren about such a tragedy. And she’s not alone, experts said. It’s important to provide children with perspective, Chavez said. Parents can explain that "sometimes some people do bad things, but this event is over and it’s rare." There are "a lot of questions revolving around safety and when that occurs, if the parents can just reassure that the kids are safe," Chavez said. The tragedy undoubtedly inspired parents to hug their children tighter. While affection is an excellent way to ensure children that they’re safe, Chavez said, it must be accompanied by a sense of security and calm.